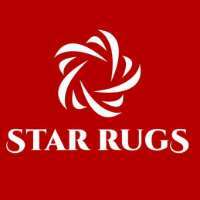 Star Rugs is an Australian is a premier online rug retailer that stocks the latest style of modern rugs, traditional rugs, shaggy rugs, wool, outdoor rugs and much more. Star Rugs is an Australian owned brick and mortar and online rug retailer. We stock the latest style and trends suited for any environment. Our high-quality floor rugs and runners are available at competitive prices and are the best companion for any room in your house. Browse our large selection online or in store and be inspired by our range of modern rugs, traditional rugs, shaggy rugs, wool and outdoor rugs. Quickly add a fresh look to your room by buying a rug, a quick an easy solution! Also enjoy our complimentary free shipping Australia wide on all rugs. Looking for high-quality rugs for your home? Browse our large selection of rugs today! 393 gardeners road Rosebery, 2018 Sydney! Browse our large selection online or in store and be inspired by our range of modern rugs, traditional rugs, shaggy rugs, wool and outdoor rugs.